Further underlining its growing strength as an international brand, leading test equipment rental and asset management organisation, Microlease has announced the opening of a new Asia-Pacific office in Penang, Malaysia. The new office, staffed initially by a team of eight and focusing on customer service, logistics and technical support, will enable Microlease to better meet the needs of locally-based clients across the region, while providing a more integrated approach for European customers with operations in the Asia-Pacific region. "Microlease is currently experiencing dynamic growth internationally," says David Whitfield, Managing Director, Microlease Asia. "Asia-Pacific is the fastest-growing region of the global economy. We wanted to enhance the service offered to customers based in this key territory as well as the local operations of clients based elsewhere. Opening the new Penang office was a natural step in this evolution. "Increasing demand from major accounts based in the region and from our OEM partners to work with us locally drove the decision to launch a fully-fledged Asia-Pacific operation," he added. "It made sense to have a stronger presence in the region, get closer to local customers and deliver service directly from a local team on the ground familiar with local languages, legislation and culture." In the short-term, Microlease plans to focus on driving competitive edge over its rivals by delivering its full range of test and measurement equipment rental services to customers in a broad range of vertical sectors, from semiconductors to contract manufacturing and from aerospace and defence to telecoms. 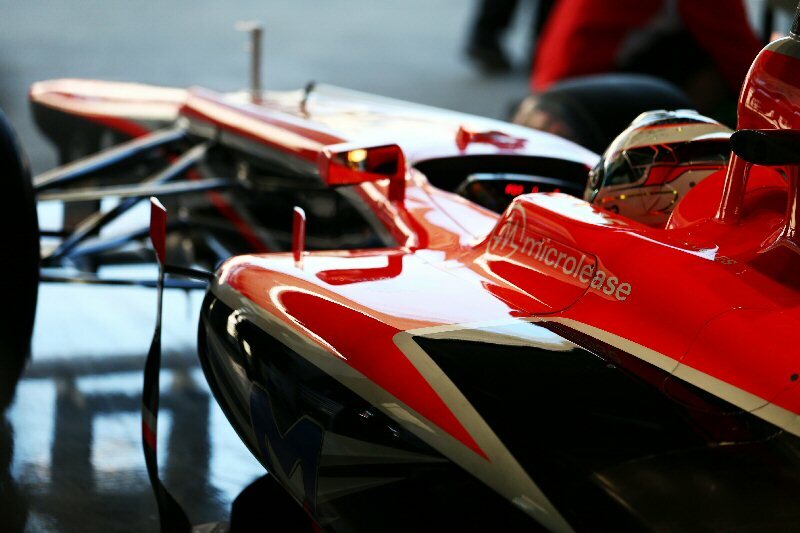 It is already actively promoting its brand in the region with the company logo featuring on the Marussia F1™ Team's racing cars at the recent Singapore and Korean Grand Prix, and this is scheduled to continue at the upcoming race in Japan (October 11-13, 2013). This is thanks to Microlease's association with the leading private equity company LDC, whose Asian operation, based in Hong Kong provides Far East support to a number of LDC's partner businesses. Looking to the future, the company is expanding its offering into asset management services and interest in this is already being shown by customers in the region. It also plans to ultimately expand its geographic coverage of the Asia-Pacific region and grow the size of the local team based there. Founded in 1979, Microlease is the number one test and measurement rental company in Europe and ships to over 85 countries globally. It is also well-established in North America, with operations in Cary, North Carolina, Dallas, Texas, and Hayward, California, following its acquisition of MetricTest. Microlease currently provides equipment from leading manufacturers, including Agilent Technologies, Tektronix, Anritsu, JDSU, Rohde & Schwarz and Keithley, among others. It is Agilent's Authorised Technology Partner (ATP) for the UK, Ireland and Italy as well as Premier Rental Partner (PRP) for Europe and Authorised Rental Partner for JDSU and Tektronix. With a strong customer base that includes Alcatel Lucent, Thales, EADS Astrium and Huawei, among many others, Microlease provides a range of solutions to help organisations obtain and use equipment, including rental, leasing, sale and buy-back of a wide range of test and measurement equipment as well as support services from calibration to full asset management. The services Microlease provides allow customers to minimise the costs of acquiring equipment, optimise its use and maximise return at end of life without stretching capital expenditure. For more information, please visit www.microlease.com. To view the photo associated with this press release, please visit the following link: http://www.marketwire.com/library/20131011-904009_microlease_800.jpg.